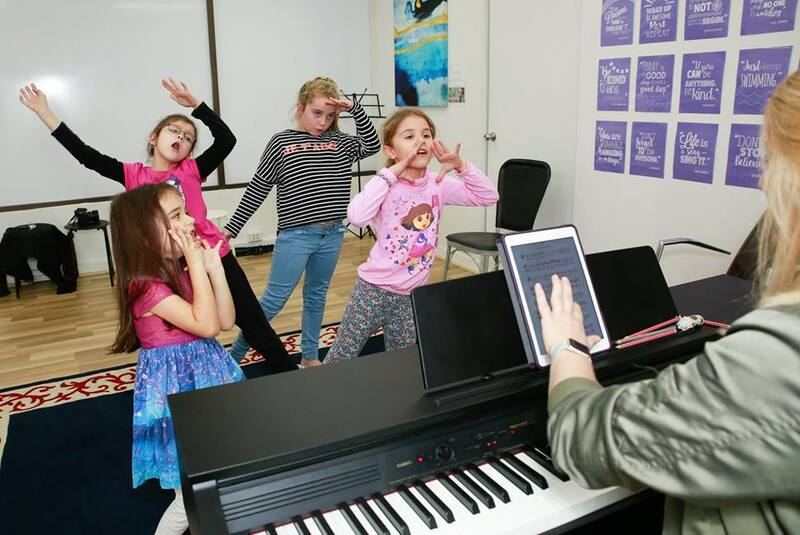 Junior Vocal Academy is an exciting way to explore your star potential… and make friends! Every week students start off by singing along to the most popular songs of the day, followed by a chance to work on solo opportunities and choreography. The lessons dive into stage presence, improvisation, harmony, and experiencing the delight of singing in a group. Group performances twice a year at the IWIM half-yearly concerts, with opportunities for solo performances as well. Come along and join the fun with our awesome bunch of music makers!